Vakoun Issouf Bayo is set to make his Celtic debut in tomorrow’s Reserve League match against Falkirk, kick off 12 noon at Cappielow. 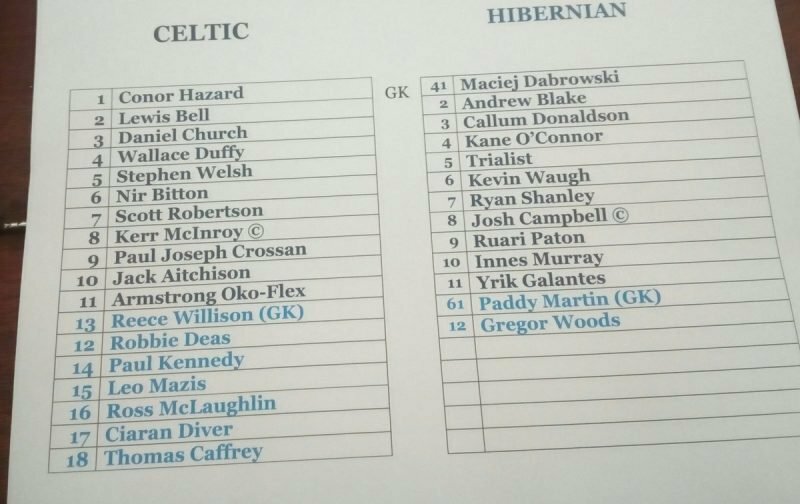 The Ivorian striker was set to get a 10 minute run out in last week’s 2-0 win over Hibs but an injury for Emilio Izaguirre meant that Jonny Hayes was sent on instead. Bayo was left out of the 17 on duty for today’s Scottish Cup win over St Johnstone but will get his introduction to the Scottish game at Cappielow tomorrow. Marvin Compper is also likely to play against Falkirk tomorrow after the German defender featured in last week’s friendly away to a Sunderland XI. Celtic will have eight Reserve League fixtures to play after tomorrow’s match and are currently five points behind the leaders from Ibrox with two matches in hand. Ross County are best placed being three points behind the Ibrox side with three matches in hand.